If your car's stereo features an Aux-in port, then the 3.5mm to 3.5mm Auxiliary Audio Cable will allow you to listen to your music from your portable music device with crystal clear sound on the go. Ideal for killing long journeys and keeping the kids entertained, the 2 metre Aux cable can connect to your smartphone, tablet, iPod / MP3 player and even a laptop to play music effortlessly. 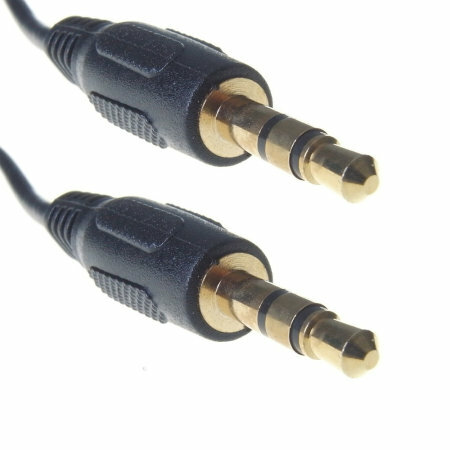 With the 3.5mm connection standardised across the majority of music devices, this cable will work with a huge range of music players - so no matter where you are and what you're connecting, you can be sure that the 2 metre Aux Cable will come in handy. Measuring in at 2 metres long, this brilliant auxiliary cable is long enough to reach to the back seat of the car, around televisions, computers and even old stereo systems - giving you the music you want and the control at your fingertips.